The people who built Machu Picchu, must have had incredible reasons to build a city with such fantastic details in such an inaccessible place like Machu Picchu Mountain; many of the details of its construction are still unsolved mysteries that attract not only the scholars but to visitors from around the world. There are many speculations and theories about the construction and function fulfilled this city during its heyday. But most scholars agree that Machu Picchu was a sacred place, where its inhabitants worshiped the four elements, and other entities, animals and stars, which also were considered gods, especially to the sun. 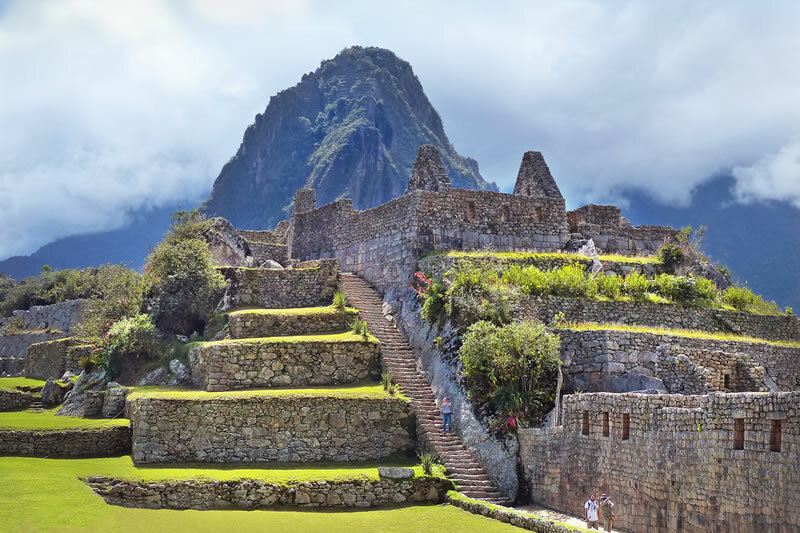 It is known that Machu Picchu was a sacred place where the Incas worshiped their gods, but that would not have been the only use that gave the Inca City; it is known that was also used as a kind of retreat for the Inca Pachacutec and his family. A city that due to its location, possessed an ideal climate to grow a huge variety of plants; among which are the coca leaf and grass that emblandece rocks. The whole territory of Machu Picchu is flooded of rivers, rock formations (boulders), springs and mountains, which were sacred to the Incas; in this place, the priests, besides the worship the Inti (Sun God), observed its position with respect to the four cardinal points, can determine the climatic seasons of the territory. Presumably this observation, should greatly influence when deciding the location of the city and the location of each of the buildings present in this city Inca. Understanding the culture and religion of this civilization, will help you understand better, most mysteries of this amazing and mystical cit y of stone. The proximity to the forest, make it possessing amazing ecosystems, which serve as habitat to countless species of animals and plants. The jungle was the main source of rare items, which were highly prized in the symbolism of the Incas, as colorful feathers, butterflies, birds, exotic fruits and vegetables; as well as, coca leaf and other healing and hallucinogenic plants. Most of which enter here, to the opposite side of the empire; to be used in religious ceremonies and to be distributed to other territories (suyos) of the empire. Machu Picchu is also known as the city in the clouds; located between the Andes mountains and the Amazon jungle, provides an unrestricted view of most astronomical events known hitherto. The Sun Temple, the Temple of the Three Windows and the Intihuatana, are just some of the structures that the Incas built in order to observe the cosmos, and are dedicated to the empire of the Incas greatest deity, the God Inti or Sun. Its positioning and design of the structures have to observe astronomical phenomena governing the Inca society, its timetable and agricultural seasons. Machu Picchu enjoyed of full autonomy; the residents of this city had their main decks needs exceedingly; the terraces produced enough food to keep to the Inca, his family, his court, priests, virgins of the sun, and all the people who were at your service. Machu Picchu had an uninterrupted supply of water from natural sources (springs and rivers from glaciers) around Machu Picchu. In this house lived the virgin girls of great beauty, consecrated to the sun god; these were chosen to be priests to serve the Inca and the gods of the empire. Not all of them face the same fate, some were chosen to be the concubines of the Inca, while others were sacrificed for the favor and mercy of the gods. In Machu Picchu about 170 skeletons, of which 150 belonged to women were discovered. The Inca City had excellent hydraulic engineers, who were able to use natural water sources, to supply the entire Inca city by underground channels, which served both for human consumption and agriculture. At the southern end of the Inca city known as the agricultural area, you will find numerous artificial terraces (andenerias) in which local agriculture development. Machu Picchu was designed to be inaccessible, in order to protect the Inca and his family from possible invaders. In its heyday Machu Picchu was surrounded by a wall of 6 meters high by 1.80 wide, although its greater protection had to do with his position on the mountain. Until today, it is unknown the real reason why the Incas abandoned Machu Picchu; because as we know, the Spaniards never found it. Perhaps the civil war waged between the brothers Huascar and Atahualpa, will end up undermining the supply food to the city. Another theory being handled, is that the city was hit by an epidemic that killed much of the population, forcing others to retreat to other cities. It is not known exactly why they abandoned Machu Picchu, what we do know is that Machu Picchu was abandoned before the Spaniards could reach it; what I keep virtually untouched and in forgotten for over 400 years until Hiram Bingham rediscovered in 1911.